The Radha- Krishna entanglement was such a pure and mythical tale. Wasn’t it? Even today, this amour stands as one of the most adulated story of all times! Krishna, the 8th incarnation behind Vishnu, is the Supreme Power of all Gods. Being such a powerful God, you must have thought that he wouldn’t have time for love. But hey folks, you won’t believe that Krishna had almost 16,000 to 16,100 wives! 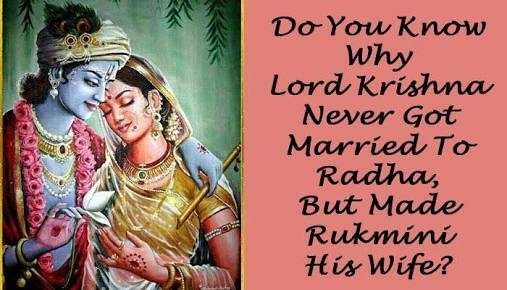 Well he had 1000’s of wives but his heart ached only for Radha. he would go by the lake, in Gokul, and start playing the flute for the grazing cows. One would say he became the best flute player due to daily playing of the flute! 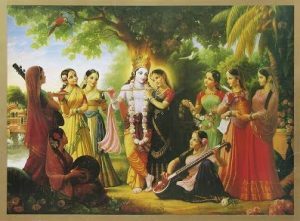 As he played so brilliantly just as a virtuoso, all the cowgirls and Gopis literally stopped their work, flocked and dance around him. Thousands of gopis would run up to Krishna, while playing the flute, and would try to woo him. Krishna was a nasty little fellow during his youth. 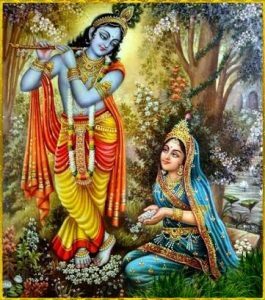 Many young girls wanted him as their better half, but Krishna’s heart yearned for Radha. Radha had the purest of heart. One would say that she looked more gorgeous than Krishna..
made him fall in love with her even more. However, this love story never reached its maturity because, Krishna left Vrindavan at the age of 12 to study at his Gurukul. Meanwhile, Radha was married off to a wealthy landowner named Abhimanyu. But there also evolved a chimerical that Radha and Krishna were secretly married in Vrindavan. But this myth doesn’t hold much proof. They were not bound in holy matrimony and yet they were soulmates. As Radha was also married, she tried to cease the feelings she had for Krishna, but in vain. Nevertheless, she accepted her devotion to Krishna. As Radha was deeply devoted to Krishna, Radha Krishna is taken as relationship between a devotee and God. Radha thought about Krishna each second of her life. Krishna on the other hand was a King and had duties to fulfill. He never married Radha and was not able to meet her after he left Gokul and became King. Radha and Krishna but they are just so darn in love with each other that both their names have combined into one; now isn’t that just crazy?! According to the Vedas, Krishna believed that Love doesn’t require marriage. Infact Marriage is an agreement and Love is a selfless, pure emotiona shares by two lovers. Love is True. Love is Pure. Marriage happens between two individuals. Radha and I are two bodies having one soul. How is it possible to get married then? 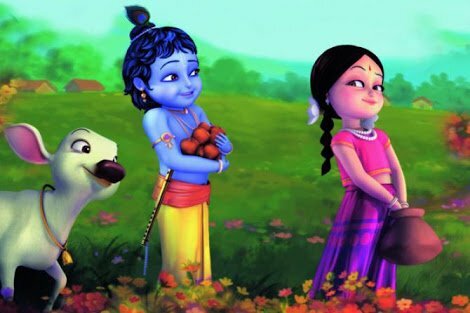 In order to show that their love story wasn’t based on physical desires, Lord Krishna settled on not to marry Radha. There was one more myth which supported their negligence for marriage. Radha was a simple girl and thought she wouldn’t fit in the world of a prince or a kingdom. On Rukminis’s request Krishna dauntlessly kidnapped her and sneaked off with her to prevent her getting married to evil Shishupal. He’s was quite a chivalrous and a gallant man. Wasn’t he? In the last moments of her life when Radha was on the pount of death, Krishna appeared before her and granted her a final, departing wish. Radha said she wanted ‘nothing’ but to hear Krishna play his flute for her. Krishna played the most melodious tune that was never played before, and dedicated it to Radha. Listening to its sweet and divine melody, Radha merged in Krishna. With this, Krishna decided that it was his final rendering of the flute. He broke the flute and threw it away in the bushes. 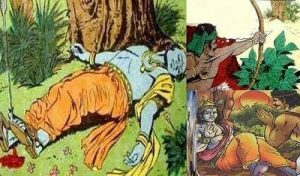 As for Krishna, mistaking the sleeping Krishna for a deer, a hunter named Jara shot an arrow that succumbed him to death. Krishna as benevolent as he was, forgave Jara and and then perished away. Maybe they had a pact of meeting in heaven. And surely they must be together now! 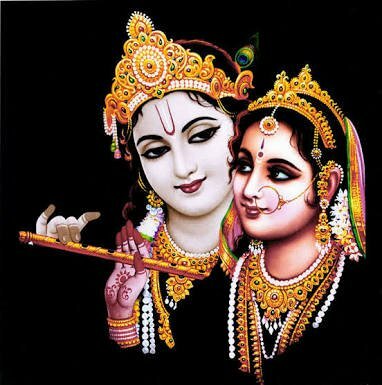 You cannot say Krishna without the word Radha and vice versa. That’s the beauty of it! Radha Krishna love can never be approached from any earthly definitions. 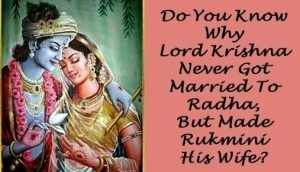 Radha and Krishna love story encompasses the love present in the Universe and that’s the reason why it prevails as one of the most empowering and mythical love story even in this modern world. Their Love is just like the flowing wind. Which will keep waving in the air forever and ever. Previous articleSteve Jobs Love Life: An Apple a Day keeps the lovers together! Next articleGal Gadot Love Story: Wonder woman’s wonderful love!